The mayor of Springfield Massachusetts has announced a delay in negotiations over building a resort casino downtown. The city will take more time to review written proposals from two casino operators competing for the city’s support. Mayor Domenic Sarno will wait until at least February 11th before announcing if he will commence negotiating a host community agreement with one or both of the casino operators, MGM Resorts and Penn National Gaming. The city’s chief development officer, Kevin Kennedy said the delay should not impact plans to hold a required voter referendum on casino development in June. Kennedy said the 2 week extension of what had been an informal deadline of January 25th was recommended by two advisory panels appointed by the mayor to review the casino proposals. Kennedy said more time is required to comb through the very detailed proposals the two casino companies filed with the city earlier this month. MGM and Penn both submitted hundreds of pages of information about their respective projects. Kennedy said the city has to review everything from esthetic concerns to impacts on traffic and water and sewer service before deciding to go to the next phase, which is face to face negotiations. 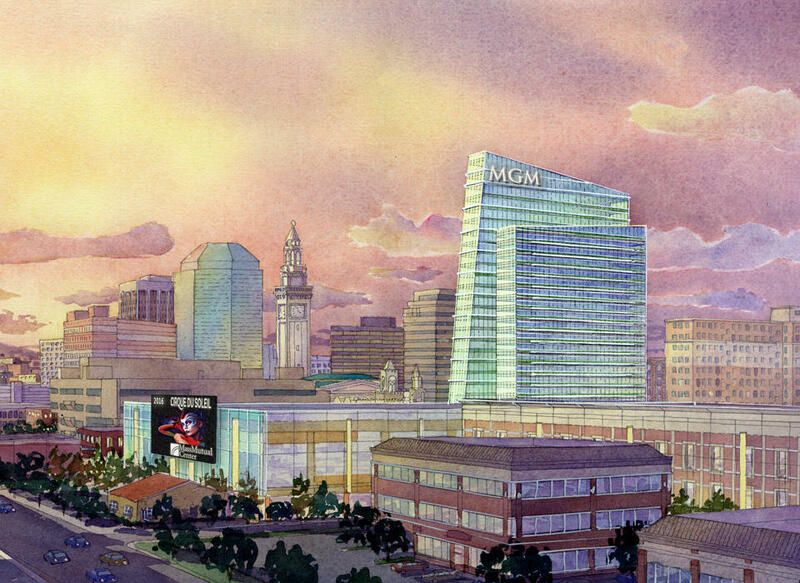 MGM is proposing an $800 million resort casino development in the south end of downtown Springfield, while Penn National has described an $807 million project in the north end of downtown. Before a casino operator can apply for a license from the Massachusetts Gaming Commission there must a host community agreement ratified by the city council and approved by voters. Springfield City Council President James Ferrera said the council will need at least 30 days to review any casino agreements negotiated by the mayor. In addition to MGM and Penn National two other companies are competing for the lone casino license available in western Massachusetts. Hard Rock International recently proposed a casino on the Big E fairgrounds in West Springfield. 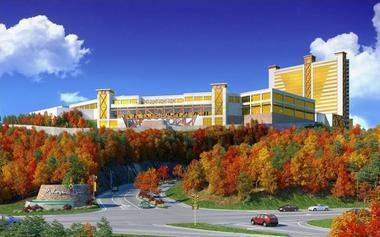 Mohegan Sun has long planned to build a casino in Palmer. Mohegan Sun’s project was endorsed this week by the Quaboag Hills Chamber of Commerce, which represents businesses in 15 mostly rural communities in the Palmer region. Jennifer Baruffaldi, a spokesperson for two pro-casino groups in Palmer called the endorsement significant. The Massachusetts Gaming Commission is conducting background investigations into the 11 companies that filed preliminary applications for gaming licenses by a January 15th deadline. Two high powered casino operators competing to develop projects in Springfield submitted detailed proposals to the city and filed initial applications for a casino license to the Massachusetts Gaming Commission. WAMC’s Pioneer Valley Bureau Chief Paul Tuthill reports. Eleven applications were filed for gaming licenses in Massachusetts by Tuesday night’s deadline. In announcing the applicants, Massachusetts Gaming Commission Chairman Steve Crosby said the state is assured of robust competition to maximize job creation and tax revenue.